With prominent Hydra members being taken out, Hawkeye believes Black Widow is back from the dead and exacting her revenge. 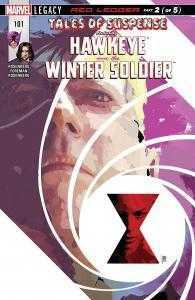 The archer teams up with the Winter Soldier to try and track down who’s behind the assassinations, but as soon as they get close to their lead in Chernaya, things get explosive! Is Natasha Romanoff really back from the dead? And can Clint and Bucky stand being around each other long enough to unravel the mystery? I thought this issue was so much fun and absolutely loved Hawkeye and The Winter Soldier’s relationship – they can’t stand each other and it’s hilarious! 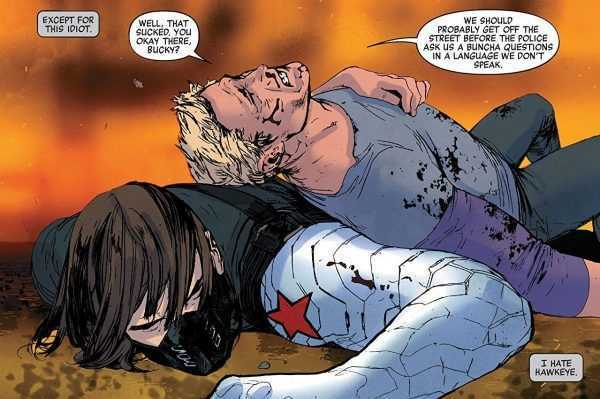 Hawkeye irritates Bucky by constantly talking at him, falling on him at one point and generally just being himself. Whereas Bucky is cold, calculated and constantly telling Clint to shut up, but there seems to be an underlying respect for each other’s professional talents. 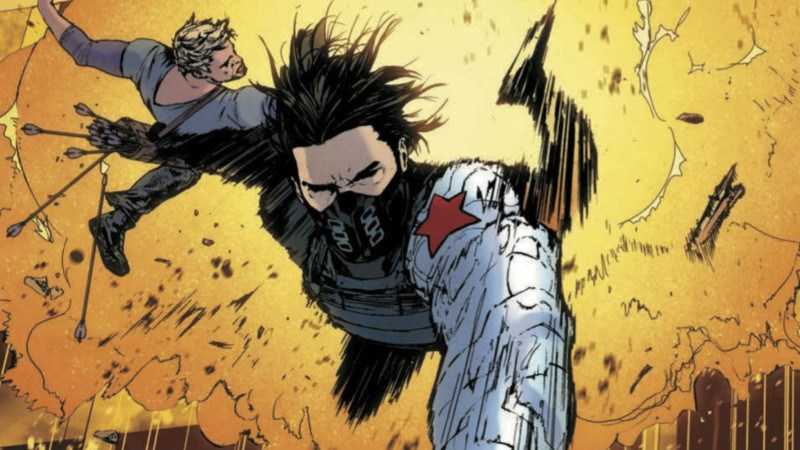 This time round the events are narrated by the Winter Soldier and we do see him admit that Clint could be one of the best, which was a nice touch, you can tell Rosenberg has a great understanding of both of these characters. 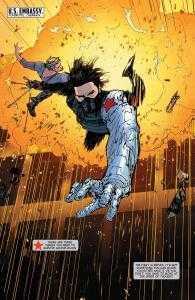 The issue is also quick paced and action packed, complete with chase sequences, multiple explosions and hand to hand combat. The art in this issue is very detailed, particularly when it comes to the action sequences. The issue opened with a brilliant splash page of Bucky and Clint falling from the impact of the explosion and it was just so well done. The following car crashes, chase sequences and combat scenes were also fantastically brought to life. I do have a slight niggle with Foreman’s depictions though as he sometimes drew Clint with a really exaggerated silly face that kind of took me out of the story.